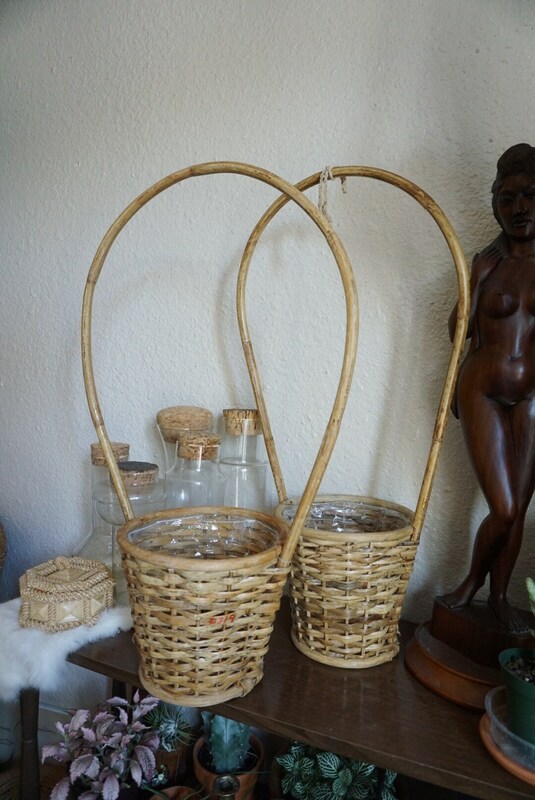 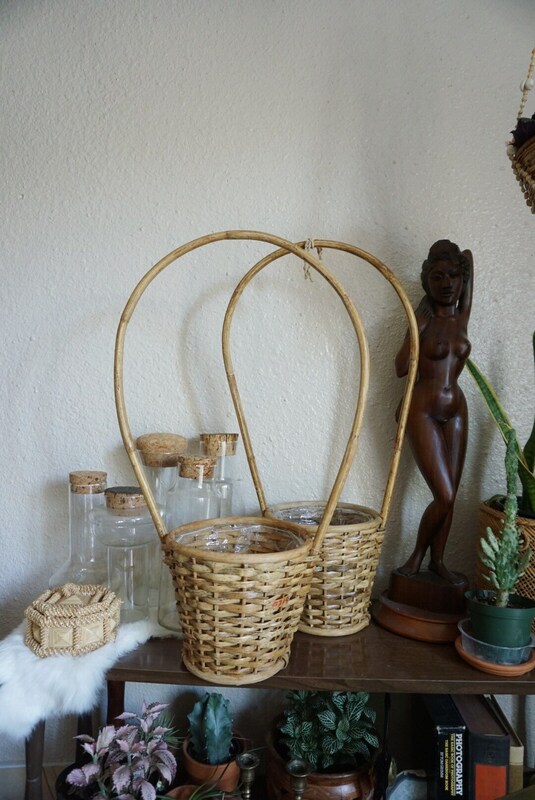 Beautiful basket made of wove brown wicker and split rattan. 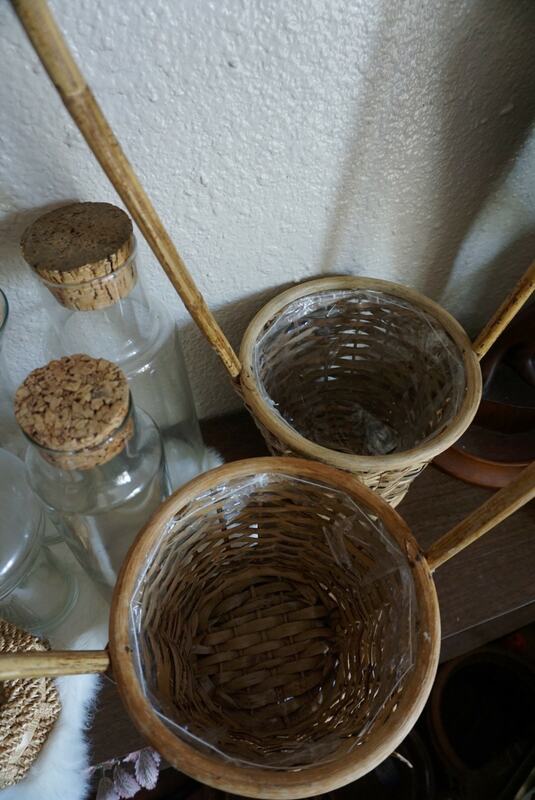 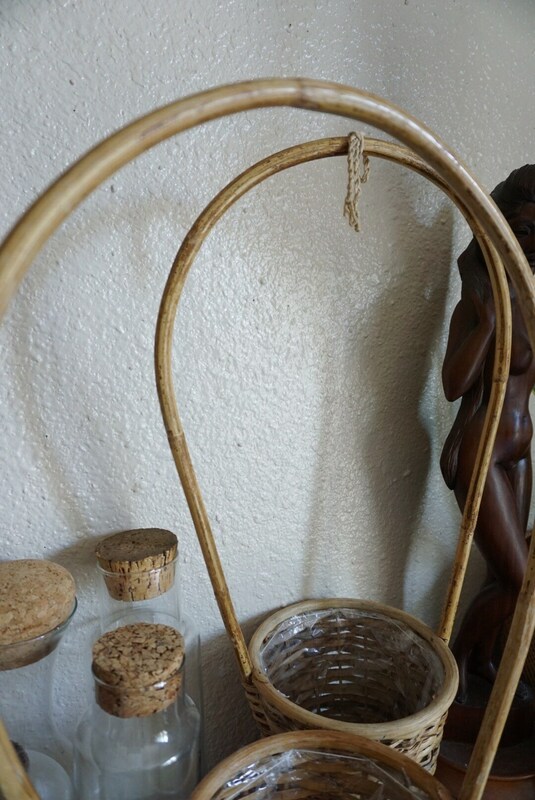 Large tall handle is made of bentwood rattan. 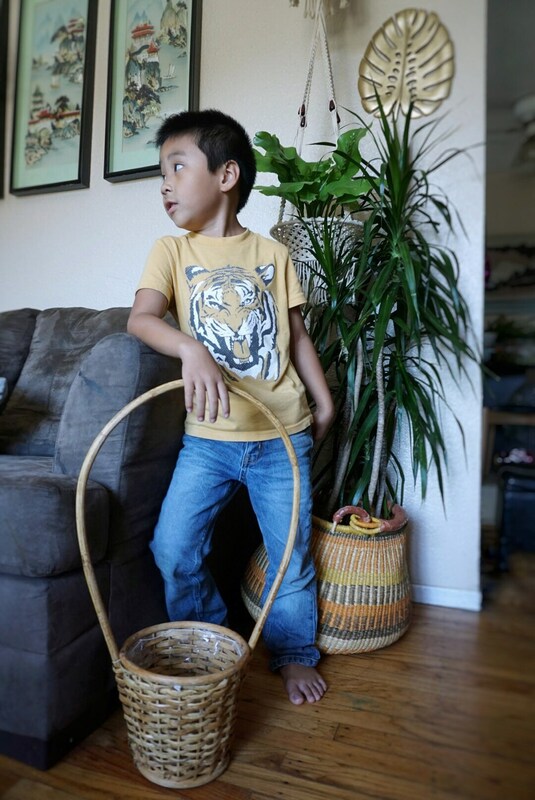 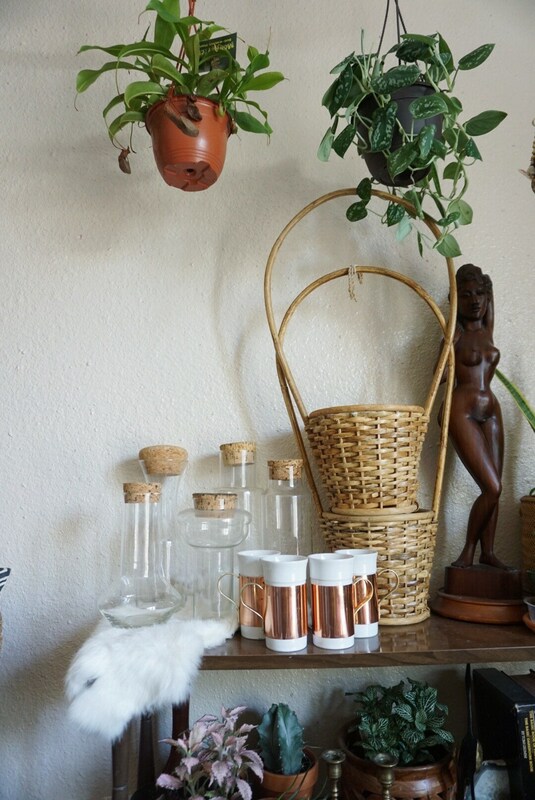 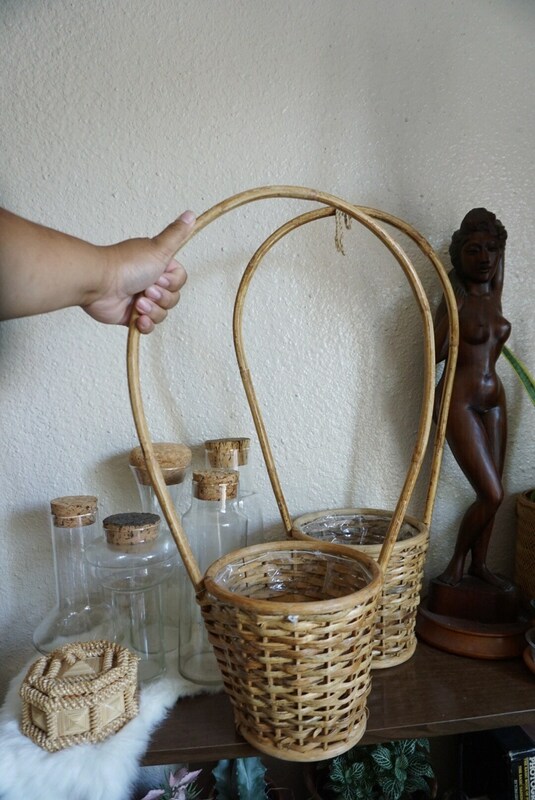 Standing basket that can also hang if you have a hook or tie a loop on the handle. 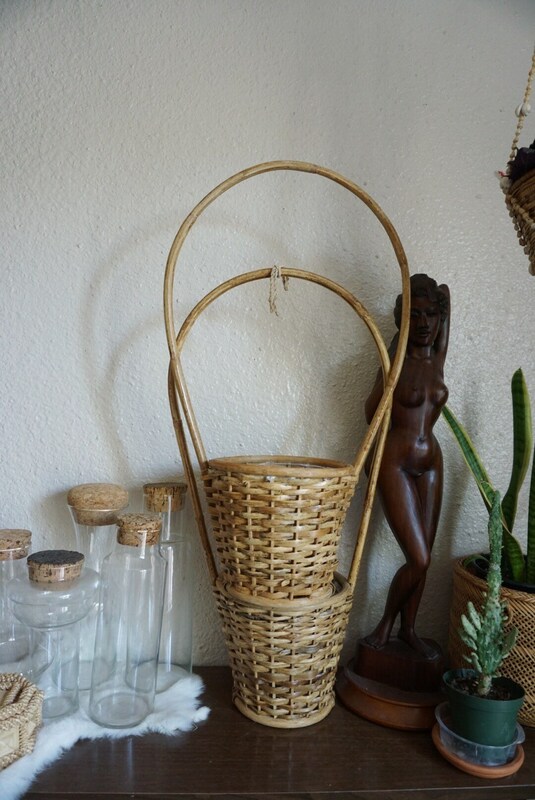 Good vintage condition with some breakage here and there.